Do you maintain a high yielding set of free SEO tools that meet your search traffic goal? No? Then this whole stuff is for you. If yes, then you might compare your SEO tool-set for further optimization. Today, blogging is a sophisticated business. As you write engaging content for your business, you deserve the quality traffic. You might be thinking to use a best practice SEO for your highest content outreach. That is a significant part of your SEO strategy. But honestly, your SEO budget is quite zero for the search engine ranking process. Then, how can you build an easier, faster, and free SEO marketing? It foremost goes with the efforts of your choosing appropriate SEO tools from the resource world. In choosing the process, you need the tools so that you get a wide range of coverage for on-site, on-page and off-site SEO operations. In terms of achieving your traffic goal, the whole set of SEO operation is a matter of your optimized performance. That is why for you; I went through more than 150 SEO tools to select the best ones that meet the common needs of your SEO operations. As you need to fulfill every bucket of SEO, such as quality, trust, authority, and so on; then you’ll have to take the free SEO tools accordingly. Take a closer look at the prolific tools; you might uncover the best ones you love. 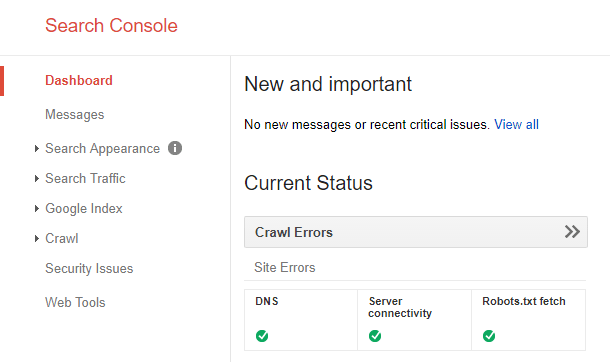 Google Search Console (formerly Google Webmaster Tools) is a free direct web tool by Google for webmasters. This SEO tools help to the webmasters to check out the health of a site Google indexed. It shows indexing status, normal visibility, search traffic, backlinks and various insights of the site. You can compare the results filtering key terms and try to understand user’s behavior of search they intend. This SEO tool deserves first priority for the web mastering. You must use this tool for the better performance of SEO for Google search engine ranking. 1) Checking sitemap after submitting. 5) The list of keywords searched by users led the posts to get SERP ranks. 6) Further penalty notifications, and so on. 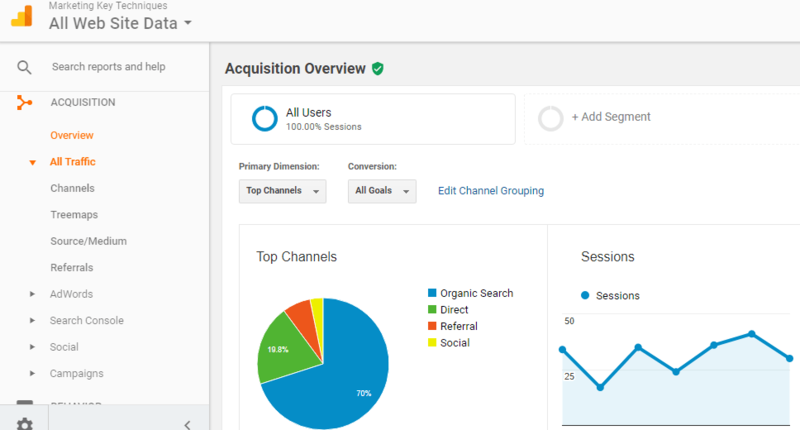 Google Analytics is a freemium web analytics tool that provides website traffic reports to the site owner. It is best-practiced web tool that serves on the internet. Google analytics helps to track landing page quality, conversion or sales, lead generation, page views, and file downloading. It helps to provide in-depth data including sources of traffic. The advanced features of this tool will help you to find the ways where you need to re-treat of your site issues of the SEO campaign. You can’t imagine your Google search engine ranking development without this tool. You might stay ahead of your competitors using Bing search traffic your blog deserves. Bing webmaster includes a set of amazing features and SEO tools that help you to promote your site on Bing SERP. 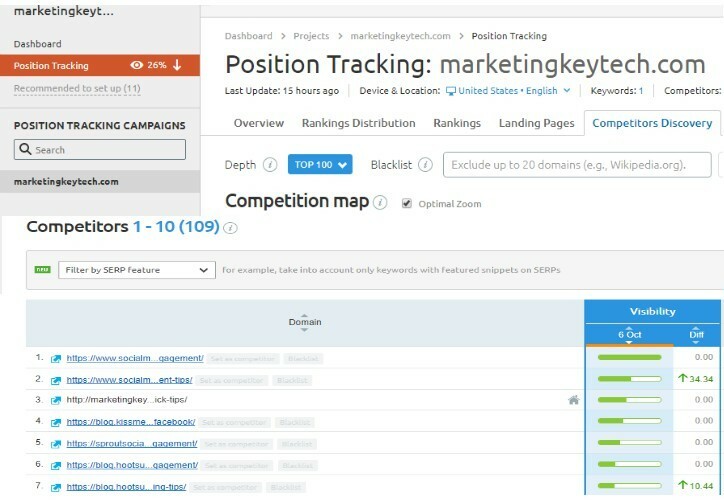 Using Bing keyword research tool, you could uncover unique keywords that other keyword tools do not cover. If you love Bing as your search marketing, you can learn details from Bing Webmaster Guidelines that help your better result. All of your site’s performance summery will be shown on a single dashboard to retreat your needful things. Google Correlate is a powerful keyword generating SEO tool like Google Trend in reverse. A clever part of the webmasters is using this tool for uncovering hidden keywords. You might follow your content strategy using keyword pattern for your powerful content marketing that Google loves. In Google correlate, you get back queries that its frequency follows a similar pattern on a data series. If you follow a trending topic to develop content, Google correlate can help you with in-depth data. In competitive analysis through personal research, you can use Google correlate as a powerful SEO tool. 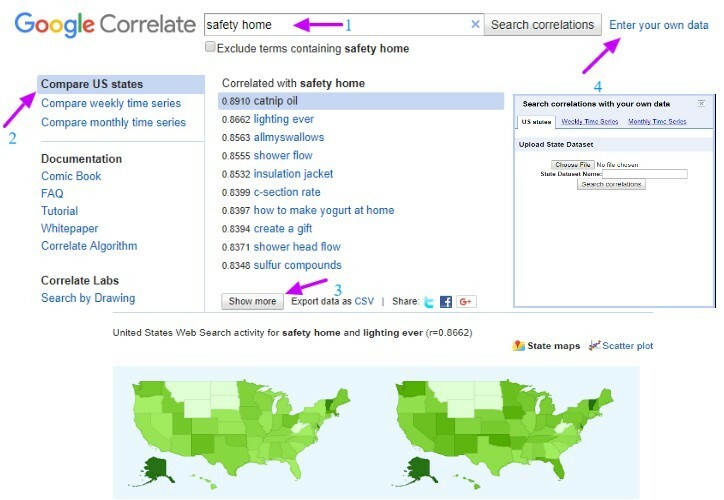 Image shows: In case of a single keyword ‘safety home’, while the search for its correlated keywords, the similar pattern will be shown as below. The SEMRush is a prolific keyword research SEO tools include multidimensional function developing your Internet marketing. It includes the features are on SEO, PPC traffic efforts, building social media strategy, and creation of result oriented content. This tool has all-round capabilities to provide you whole phase SEO leverage. It helps to conduct SEO Audit, uncovering competitor’s keyword, semantic functions, and tracking of site ranking. Also let you find organic traffic generation idea, copping idea to over-take the competitors auditing backlinks and lots of more. SEMRush is an amazing SEO toolkit that figures out all sorts of marketing problems within its single stage. This toolkit has an outstanding performance that shows the ranks on any geo-location supporting Google and Bing. You might use this free option for limited requests per day. But you have a great chance to check out the total performance of this tool using 14 days free trial that includes unlimited requests. 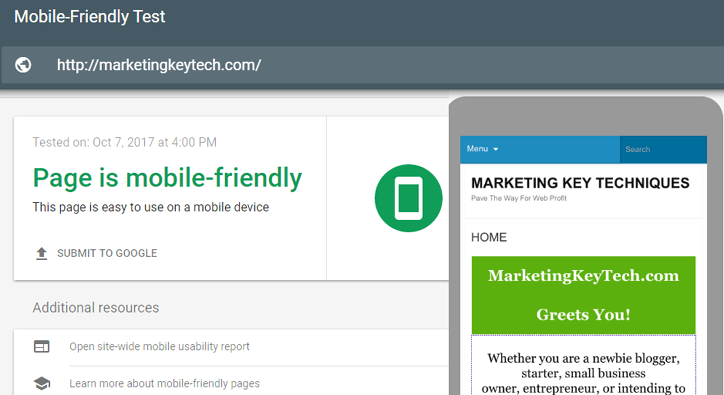 Google has enhanced their support to test the usability of your site whether it appears on mobile or not. In the changing of the info-tech world, now about everyone has a Smartphone and they would like to communicate easily with rest of the world. That is why mobile-friendly sites are lucky to find the scope to get a huge number traffic from the web. But, how you can test that your device is mobile friendly? 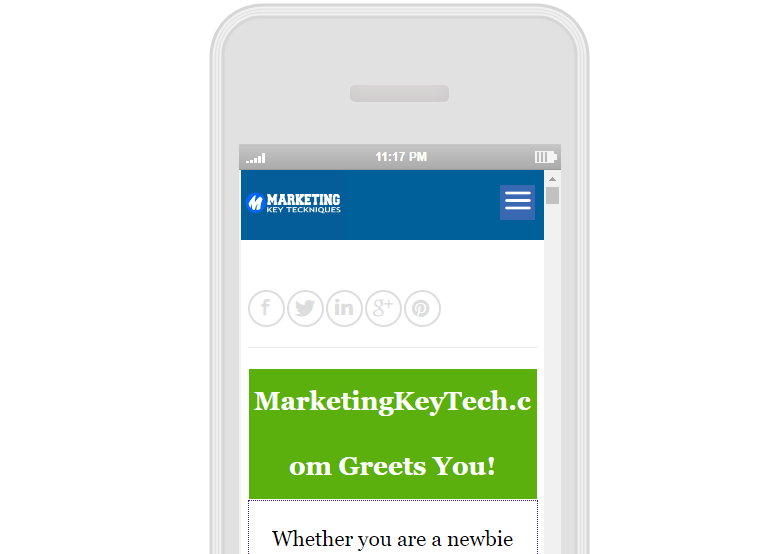 Just enter the site URL into the particular slop of Google Mobile-Friendly Test Tool. If your site is not mobile-friendly, you’ll have the fix the issues with a developer’s expertise. Using Schema Generator, you can set the things with a handy arrangement that includes reviews, events; special remarks and so on appear on the search engine ranking snippet. You can easily create the code and place the code using free WP plug-in version. This top most popular SEO tool is being used by most of the people in the SEO industry. The keywords you will find after inputting your target key term are basically users’ keywords. 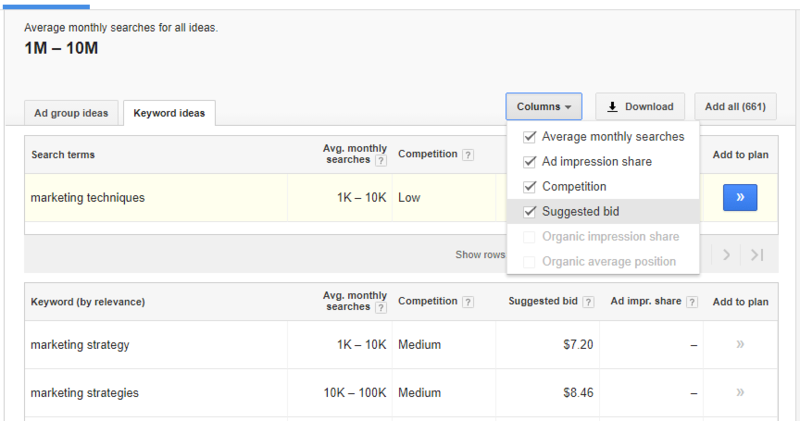 While you enter a keyword, you could find the keywords with monthly search volume including suggested keywords as well. Although you have lots of chance to search your keywords using alternative tools. But, you just need to come with this SEO tool for measuring the weight of importance from search volume and competition as well. If you need to know your blog post position on particular keywords in the Google SERP, then SERPWatcher is one of The Best Rank Checker Tools you can use. It is a prolific rank tracker that dominates in the world of SEO tools. As an extra power of providing more accurate data service, it does stand out than any other same tools. This tool is a new generation hybrid SEO tool. It provides quick data on any device while you track your keyword position based on your expected geo-location. You need to operate your campaign for a targeted rank in a better user experience and fascinating user interface as well. It saves your valuable time and provides you all those things in an easy and single platform. You can take a look for details diving into SERPWatcher or follow the banner. Google XML Sitemap is essential to develop your site’s SEO. It is a WordPress plugin creates SEO-friendly special XML sitemap automatically for your site. There’s no hazy to use, a free tool as well. This sitemap will help to the search engines like Google, Bing, and others to index your site easily. But, use this tool only while you do not use Yoast SEO plugin. The season, XML sitemap creation process is included with Yoast SEO plugin that will do the same. 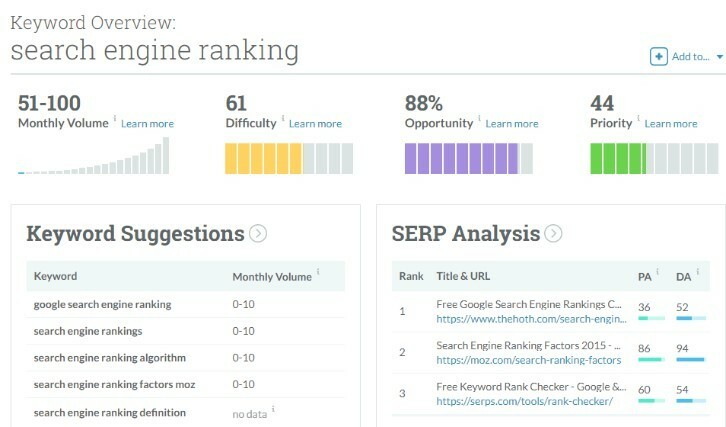 Free Moz SEO Tools kit is a comprehensive set of online software that leverages you to check out total SEO status including content marketing. It helps you to link building, link analysis, keywords research, web page performance, an audit of the local listing and much more. Using a free Moz community account you could find the link metrics for your site’s SEO development. (1) Keyword Explorer: Helps to get target keywords from a large number of accurate key terms. (2) Open Site Explorer: Helps to uncover content that leverages link building opportunities. In terms of targeted link building, it helps to track out the link profile and compare to competitors for weighing intelligence. (3) Mozbar: An amazing Chrome extension that helps to find instant search metrics including PA (Page Authority) and DA (Domain Authority), social and page metrics of any site you visit. (4) My Business Listing: Helps to show you the listing how it appears local search engines and directories. And also leverages how you can improve the listing with Moz Local. (5) My Business Console: Helps to show you the Google My Business admin management data in a simpler and easiest way. It leverages to manage brands and franchisees for auditing, adding and removing further things. 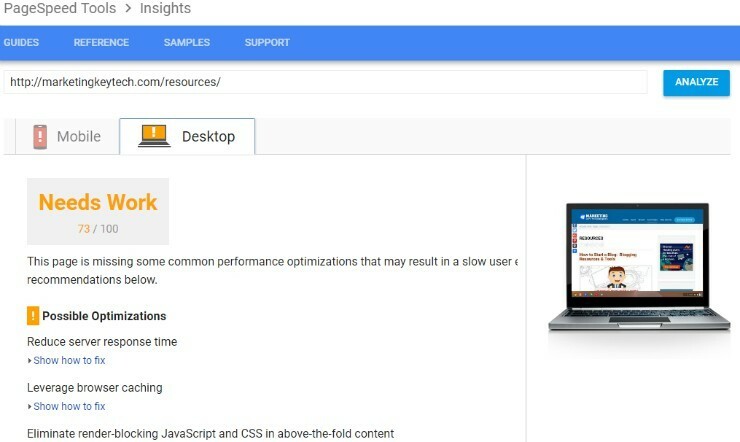 Google helps to find out the score of your PageSpeed analyzing the site performance. While you input your page URL, you’ll find a feedback or insights details. If the score is not significantly acceptable, you could find the issues where and how you’ll be able to retreat or fix them for your faster PageSpeed. Maybe little bit kidding. In fact, the tool is Internet Marketing Ninjas and that works amazingly to filter the whole site by a single click. 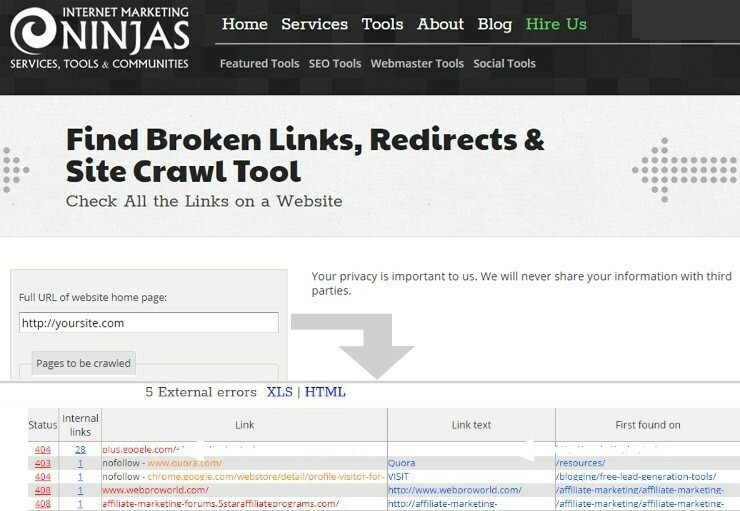 The SEO tools show you the error links whether it internal or external. You have a clear chance to discover errors on your site for further fixing ASAP. You might download the whole excel report-sheet to fix the things at your convenient time. Google Analytics Referrer Spam Blocker is created by Adwords Robot. This SEO tool is quite free of cost that helps to webmaster protect their analytics data so far neat and clean. There are many sites used to get referrers or Ghost Spam come from spam-bot, not from the clicks while people visit your site. 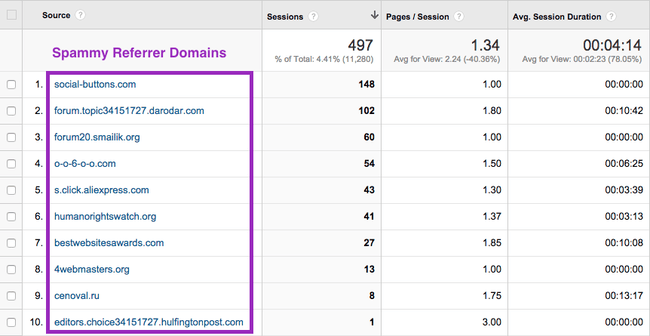 Indeed, this sort of traffic is not harmful, but it does pollute the fairness of your analytics information. Take a look at the above box for example spam links. It is crucial to keep checking your content-fitness for sustainable better rank on the SERP. Copyscape is a plagiarism checker that helps to know whether your content is unique or duplicate. And, where the sources duplicate content is being used by someone(s). (1) Your prepared content is unique and fresh to post in your blog. (2) The blog content you posted is not being plagiarized by others. In terms of healthy SEO of your site, Copyscape is a reliable SEO tool for plagiarism checking. It helps to make your content outstanding that affect the SEO directly. Then, Copyscape is one of the best practice SEO tools you shouldn’t keep it away. Google Structured Data Testing Tool is a free tool that helps to provide context to the information on your page. Using live data from Google, it validates the structure data for any site. You have a chance to copy and paste the code of the site for the testing result as well. 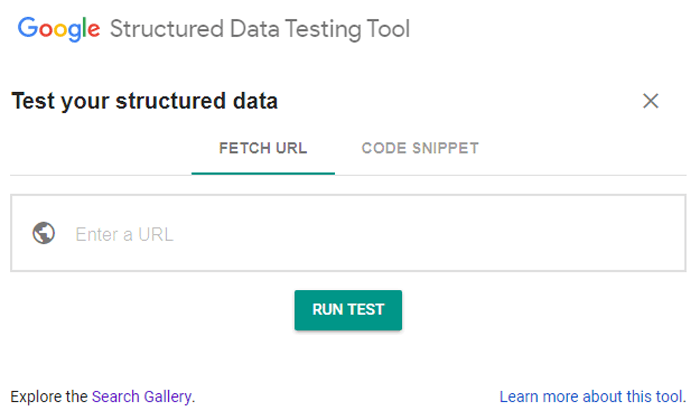 Google Structured Data Testing Tool provides data to identify any errors or warnings. It does include features to test that how Rich Cards will appear on Smartphone. Whenever you get the site with the new post you doubt need to check out further errors. Microsoft Free SEO Toolkit includes some exceptional tools in its single platform. This toolkit helps to get some significant recommendations up on your site analysis. It does help to comprehend your site with relevant SEO friendly content. Furthermore, it does refine and adjustment of your sitemap and robots.txt file as well. 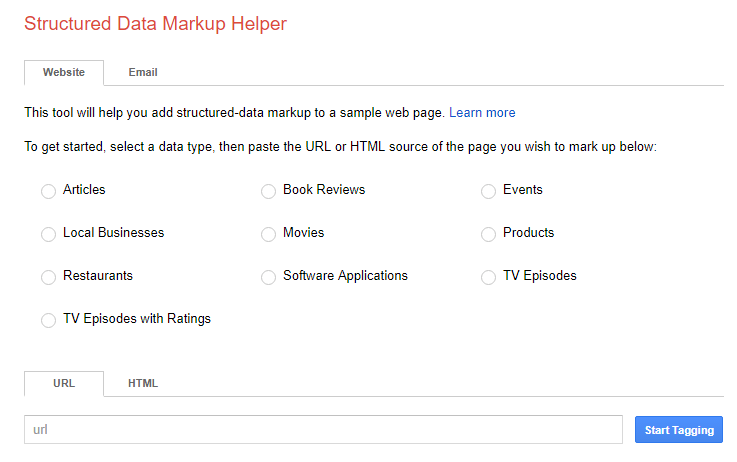 Google has generously offered free Structured Data Markup Helper tool to build your Schema Markup easily. Using this tool you could able to generate your Schema markup without hassle, but quickly. Yellowpipe Internet Services offers Robots.txt Generator at a free of cost. The tool creates a short file that you’ll have to put in your home directory. The files indicate needful things what to do within the pages of a site. The robot surefire skip the pages whereas particular instructions are given in the robots.txt file accordingly. But a powerful SEO tool, Google bot doesn’t ignore the pages that are involved with malware functions or security issues. 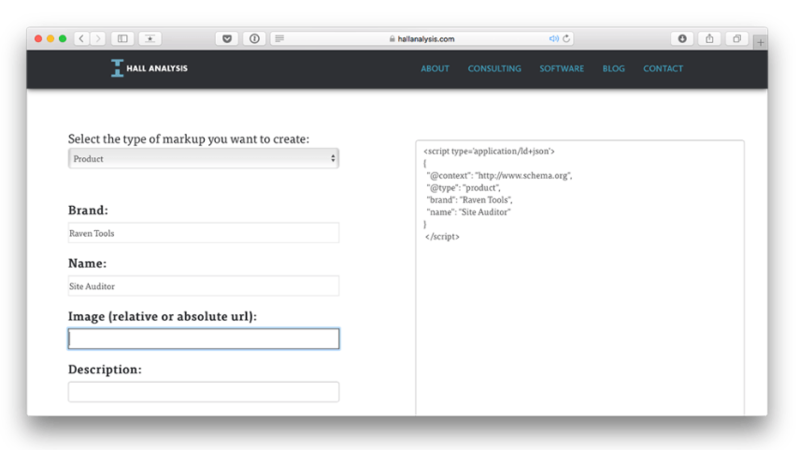 Follow the simple fields to build up your file for the due set-up. Google Trends is a powerful SEO tool that helps to get key flows of current search term data available in real time. The clever marketers are exploring this useful trends data from global reactions on serious events to generate an engaging story for site ranking. Trends data is an unbiased sample of Google search classified data. The database goes with personalized data, categorized data, and aggregated data. Big G measures search interest on regional and city-level of geography. Google Trends data becomes one of the world’s largest real-time datasets it does show. You have a chance to research the people what they are interested and curious on the topic. It helps to measure how often a keyword is being used (or entered) by people in their search within a time frame as per total search volume across the regions, city, and language. The “how often” a search term is being used means level of search interest, which is important to select a key-term as your crucial keywords in terms of search engine ranking development. It depends on when an important news story happens and how you can best explain this data! If you research long tail keywords, you need Keyword Tool. As one of the best alternative of Google Keyword Planner, it serves you more than 700 long tail keywords. It helps to find a long set of appropriate keywords in different languages and platforms such as Google, YouTube, Amazon, and so on. You might acquire a search term that happened with best search interest in the Google Trend in this powerful tool. Then you could find best quality long tail keywords that boost your search traffic. Why is SimilarWeb a powerful tool? The reason is, it helps to the marketers with a strong competitor analysis. This tool is useful for the agencies, analysts and business developers to find the clear opportunity for their growth hacking. If you’re one of them, you have a chance to check out traffic stats of your competitor’s sites including adequate research on their growth factors. It has an amazing Chrome extension that helps to find the closely-related sites at a glance on the opened browser. It helps to find the new potential of your business development. In terms of developing a total content marketing best practice, Small SEO Tools is one of the best free offers. Up to now of this post, they arranged 116 free SEO tools within their single home page. All of the SEO tools are easy, simple and smart to meet your all sort of SEO requirement and site ranking. (a) Content Tools: Plagiarism Checker, Article Rewriter, Grammar Checker, and 6 more. (b) Image Handling Tool: Reverse Image Search, Video to GIF Converter, and 5 others. (c) Keywords Tools: Keyword Position, Keywords Density, Keywords Suggestions tool and 7 more. (d) Backlink Tools: Backlink Checker, Backlink Maker, Website Broken Link Checker, and 4 others. (e) Website Tools: Google Pagerank Checker, Website Page Speed Checker, and 28 more. (f) Tracking Tools: Link Tracker, Code to Text Ration Checker, Mozrank Checker and 25 more. (g) Proxy Tools: What is My IP, IP Location, and Free Daily Proxy List Tool. (h) Domains Tools: Domain Age Checker, Domain Hosting Checker, and 6 more. (i) Meta Tools: Meta Tag Analyzer and Meta Tag Generator. (j) Password Tools: Password Encryption Utility, Password Strength Checker, and 1 more. (k) PDF Tools: Merge PDF, Unlock PDF, Lock PDF, and 6 more. While you go through the tools, you could find elaborate literature regarding each of the topics it deals. Your site needs an improved SEO marketing; SEOptimer offers a wide range of SEO tools. The free tool-set includes 10 outstanding software including Meta Tag Generator, Ping Tester, URL Shortener, Broken Link Checker, XML Sitemap Generator and W3C Validator as well. It has available browser extensions for Chrome, Firefox, and Opera browsers as well. You can meet your SEO requirement for search engine ranking using the best ones. Every starter needs to launch up his website must be a responsive design. Responsive design refers to get your site looking well designed including easy navigation, easy reading, easy to scroll, auto-minimal resizing, normal computability in various devices, and so on. You can test the responsiveness of your site using free CSSChopper tool whether your site is whole phase responsive or not. The test will allow you instantly to see your site on multiple devices with different screen sizes that influence the search engine ranking. The best merit of this tool is that you needn’t be an expert to operate SEO using this magnificent tool. It will show you the ways how to tailor your appropriate SEO and content readability for best on-page SEO. If everything in the on-page SEO goes in the right order according to Yoast SEO direction, you’ll sure be able to get a primary search engine ranking. Rest of the ranking development depends on your domain authority, page authority, and others ranking factors. But, Yoast SEO plays a vital role to boost your site ranking. It has more than 5 million active users and increasing the number day by day. If you’d like to get an increased rate of readers’ engagement, social media visitors, and search traffic from Google and Bing, you shouldn’t miss out this king SEO tool. You’ll not go to another SEO toolset if your use SEO Squirrly. A beginner in SEO WordPress blog can easily operate this tool for fixing an early element in this SEO system tool. It does help to the content marketers providing excellent SEO including improved content, Site ranking, and analytics. SEO Squirrly basically a WP plugin, that helps site to load fast both in the frontend and the backend. It is a complete toolset that fulfills all requirements for a site SEO including Social Media. When you sign up with this plug-in available in the WordPress, you’ll be able to use all the SEO features. You’ll also able to uncover hidden traffic gold getting content optimization, Keyword research, and SEO lives amazing assistance for free. Take a look into their offer you might like to go with their prolific service. If you’d like to conduct content marketing successfully, you never can keep Buzzsumo out of your toolbox. Buzzsumo is a powerful, easy and amazing tool that brings the results in a single place quickly for the content marketers. Using this tool you could able to uncover the things such as your next topic idea, influencers, popular topics, competitors, a topic stream of the time and social media dominators. It helps to find out the real flow of content industry that what type of content is really working for the product and services. Using this tool you obviously could find out the content that relevant to your niche and gather knowledge to enhance your own content sharpness. If you are a beginner, you can easily use this tool for your best practice blogging in the content industry. ÜberSuggest has an incredible power to provide you a long set of long tail keywords useful for the SEO ranking. In your content marketing arrangement; this tool is unavoidably a cute collector of your valuable key phrases that Google Keyword Planner doesn’t cover at all. ÜberSuggest covers both Google as well as Bing area to create powerful content marketing keywords. Their suggested keywords are key booster element to progress your search ranking. This tool also helps to show keyword ideas for PPC campaign as well. What is LSI? It stands for Latent Semantic Indexing. LSI Keywords refers to the words that are meaningfully hidden gem with the conventional keywords. But, it plays an important role to make the content most important to Google. In terms of creating profound keywords, LSI keywords work best for indexing and search engine ranking on the upper SERP. When Google comprises Hummingbird algorithm, LSI Keywords start getting importance leveraging the mobile search industry. 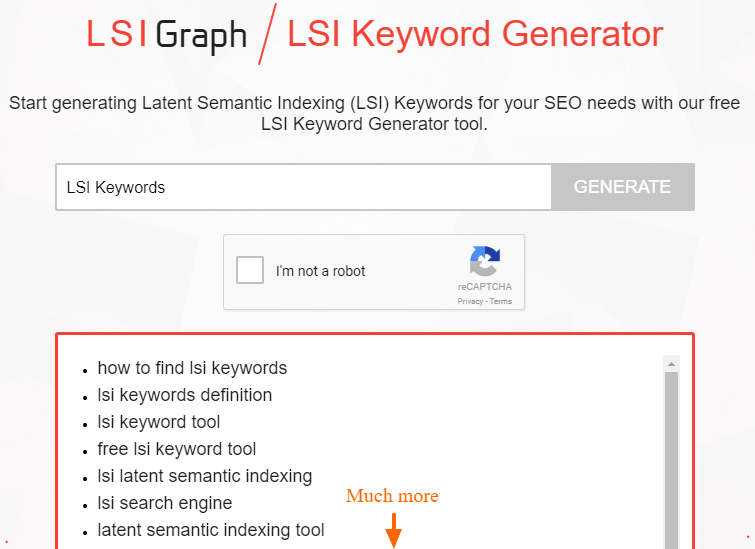 The free LSI Keyword Generator tool amazingly creates the expected keywords your content marketing needs. Fortunately, you can use their WordPress plug-in they already launched. Honestly, they offer some hybrid knowledgeable books to teach you best practice of LSI Keywords. You could find them if you download LSI Keywords Formula that they offer free. 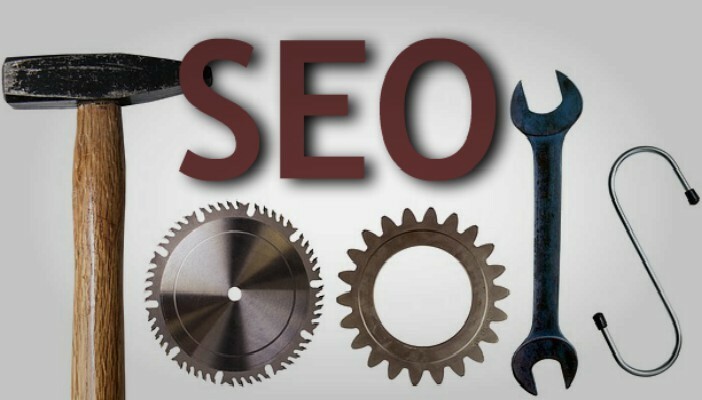 All the above top 30 free SEO tools are taken based on various factors, such as usability, productivity, real-time outcome, accuracy, performance sustainability, time consumption, and future plan as well. That refers; your total SEO requirement can be met easily using the free SEO tools for your better search engine ranking. Am I missing any of the best ones you love? Let me know your valued share.